Written by Kim on August 26, 2015. Historic Route 66 by Randy Heinitz. This is part seven in our Summer Road Trip series. We have already talked about road trippin’ Maine, Maui, Florida, California, the Finger Lakes, and Arizona. 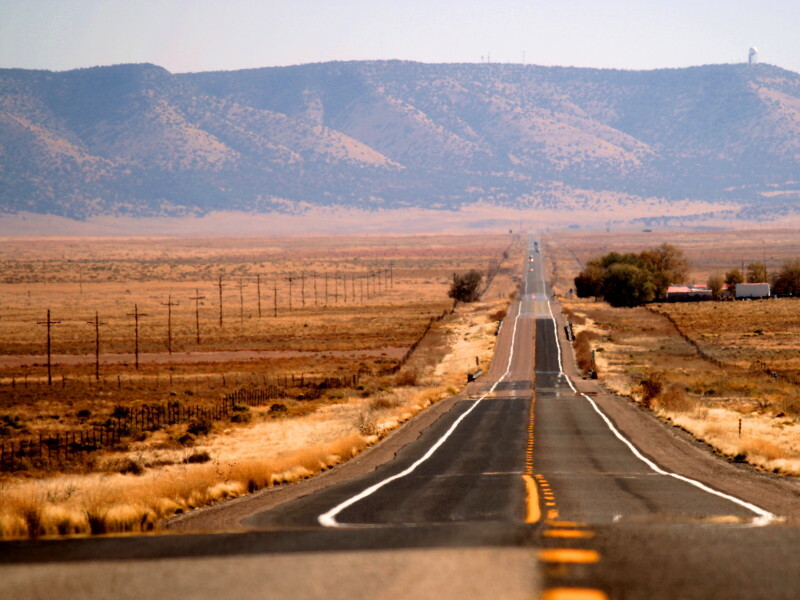 The most classic of all road trips, Route 66 is often referred to as America’s “Mother Road,” connecting 2,400 miles of ribbon-like highway between Chicago and Los Angeles. It’s epic, and something everyone should do once. This road is the stuff of legend, tread by dreamers, adventurers, and desperados. Taking the journey is like driving through bygone days. Now the slowpoke’s route to the West—and technically not even an official route anymore—it was once a major path for westward migration. It was established in 1926, crossing eight states: Illinois, Missouri, Kansas, Oklahoma, Texas, New Mexico, Arizona, and California. During the Dust Bowl of the 1930s, people drove along Route 66, stopping at the towns along the way, and subsequently promoting economic growth within them. Today, it’s full of kitsch and nostalgia—a ribbon of road that’s filled with crazy attractions and a whole lot of nothingness. Start in Chicago by taking your picture next to the “Rout 66 Begin” sign. It’s a mere 60 miles before your first roadside attraction emerges through the cornfields—the 28-foot fiberglass spaceman, Gemini Giant looms over the Launching Pad Drive-In restaurant. This stop in Wilmington is your first of many photo ops. 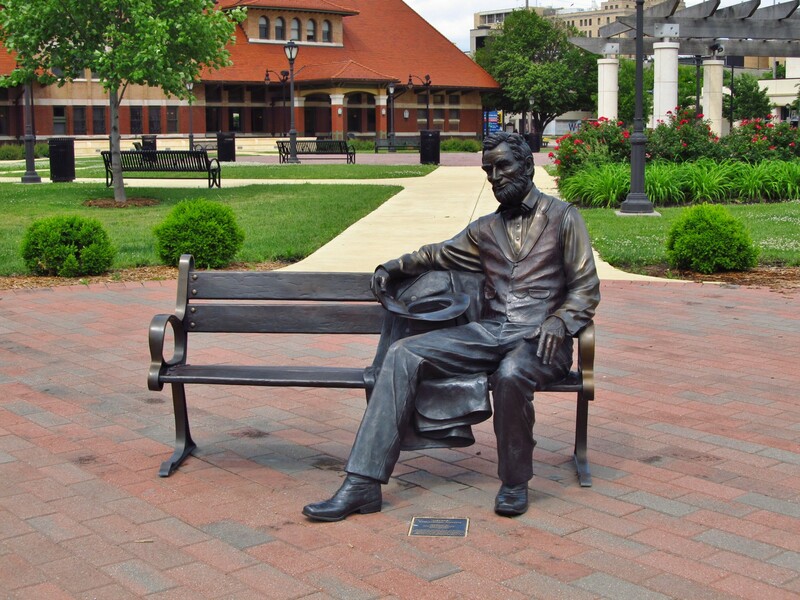 Continue on to Springfield where you’ll explore the life of Lincoln through his presidential library and museum, his home, and even his tomb. Next, it’s on to St. Louis where the 630ft-tall Gateway Arch towers over the city. Don’t blink or you’ll miss Kansas! A mere 13 miles of the road (less than 1%) passes through this state before turning toward its southern neighbor, Oklahoma. 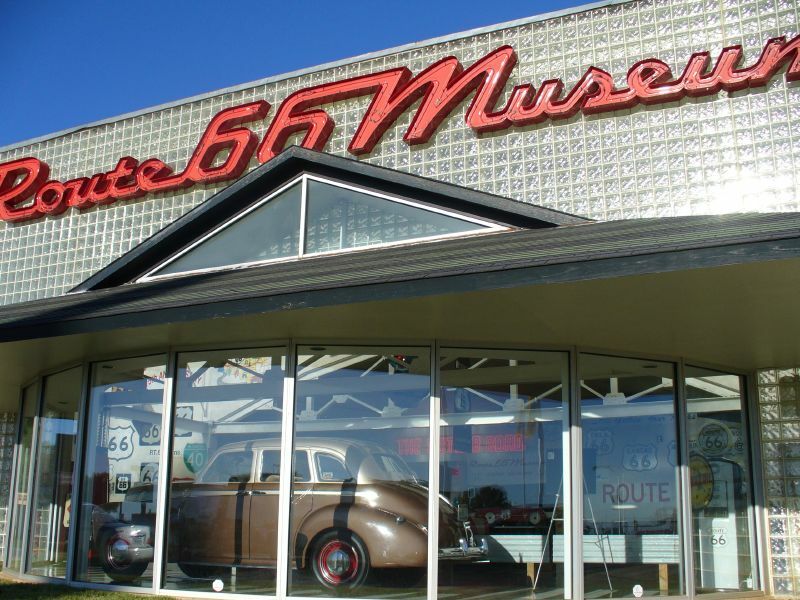 Stop at the Oklahoma Route 66 Museum to stock up on all your essential memorabilia. Flags from all eight states along the road fly over this attraction in Clinton, OK. Continue 70 miles to Texas and stop at the Devil’s Rope Museum to “get hooked” on barbed wire. Make one more stop at the Mesalands Dinosaur Museum in Tucumcari, New Mexico, to see real dinosaur bones—including a T-Rex—before moving on to Albuquerque, known for its art and culture. Take a short detour to the Georgia O’Keeffe Museum in Santa Fe. 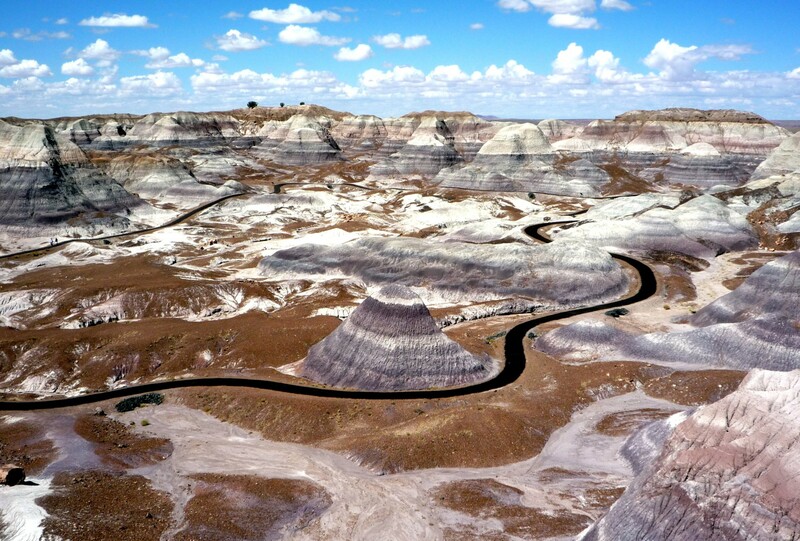 The next bit of the drive takes you through Petrified Forest National Park in Arizona. The “trees” are fragmented and fossilized—some with a diameter of more than 6 feet—and all over 225 million years old! Cross the state and stop in Oatman, where you’ll feel like you’ve been dropped onto a Wild West movie set, complete with daily staged gun fights. Barstow, CA, is your final stop before Santa Monica. Visit the Route 66 Mother Road Museum where you’ll get a glimpse into life in the early 20th century. Reaching Palisades Park marks the end of your massive journey. Find the Will Rogers Hwy memorial plaque, and take a picture to commemorate your time on the Mother Road. 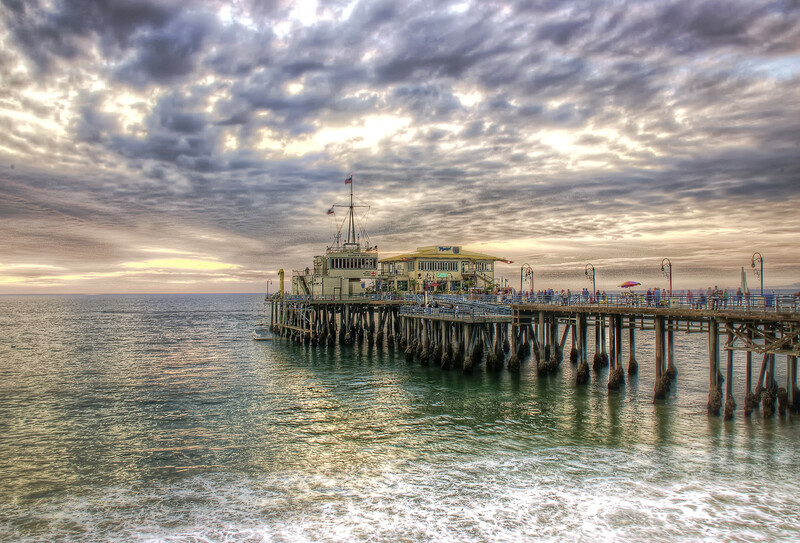 Celebrate your journey with a ride on the 1920s carousel on the Santa Monica Pier. Although it was officially removed from the United States Highway System in 1985, Route 66 is a pilgrimage for many Americans. It takes us to the very core of our country, and lets us embark upon an epic quest, like so many did before us. Have you made the journey along Route 66?